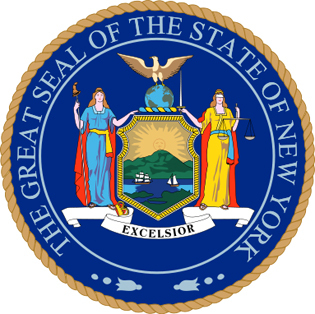 Several NY agencies sponsor New York down payment assistance programs. One of the agencies is the New York City Department of Housing Preservation and Development. This agency initiated a program known as Home First Down Payment Assistance, which aids potential homebuyers with up to fifteen thousand dollars to fund the closing cost or down payment on a one to four family housing, a cooperative, or a condominium in any of the New York City’s five boroughs. To be eligible for this program an individual should meet the criteria set. The State of New York Mortgage Agency (SONYA) is another example of many agencies supporting first-time homebuyers and low to middle-income individuals. This agency provides mortgage programs to support individuals who are buying homes for the first time to buy housing in New York State. They make homes more affordable by providing mortgage programs, which require low down payment, and guidelines underwriting are flexible. In these programs, there are no penalties for prepayment, interest rates are attractive. State of New York Mortgage Agency provides applicants with down payment assistance in addition to their financing. The Down Payment Assistance Loan offered by SONYMA is interest free and there are no monthly charges. Borrowers are entitled to forgiveness upon elapsing of ten years period strictly, if they continue to being loyal to SONYMA financing and they still own or occupy the same property they acquired through SONYMA assistance. Although SONYMA programs are geared towards assisting low-income earners, it is not limited to first-time homebuyers. The programs also provide impetus for buying housing located in areas legally marked as target. There are many loan programs offered by State of New York Mortgage Agency (SONYMA). When deliberating on which program to go for it is important to consult with a qualified SONYMA expert. This entry was posted in New York and tagged down payment assistance, NY, NYC, SONYMA. Bookmark the permalink.